With the launch of various VR gaming devices, including Sony’s PlayStation VR, some might forget about Microsoft’s Hololens when it comes to gaming in a virtual world. According to Microsoft’s head of Xbox however, everything is going very well with playing Mixed Reality (MR) games on the Hololens. Xbox head Phil Spencer said as much during a recent interview with Japanese gaming magazine Famitsu, as covered by website Play-Asia. During the interview, Spencer was asked about Microsoft’s efforts in VR gaming and their Hololens device. I’m getting away from the Xbox Family talk and I want to ask you a question regarding the MR Microsoft Hololens. 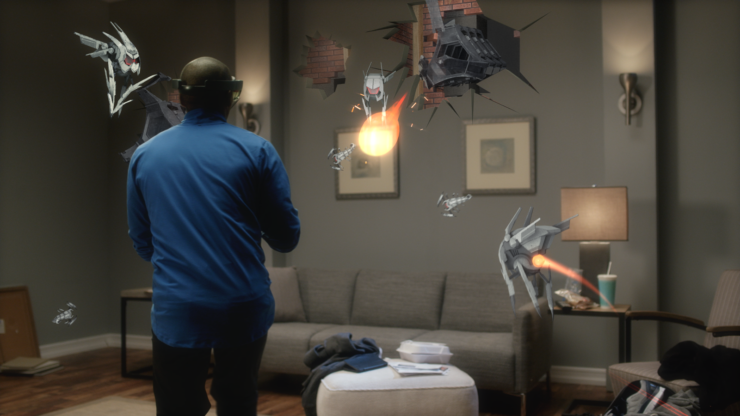 Do you think we will see a whole lot of playable games using the Hololens? Phil: Oh absolutely, There is a lot of talks in the back concerning playing games in MR! VR does allow you to enter a virtual world but only within a certain space, MR however further establishes this by blurring the lines between Reality and the virtual world. It sounds scary but it just shows how much can be created and enjoyed. We can’t get into the specifics at the moment but we can say for sure that everything is going swimmingly at this current stage! Microsoft’s announced their holographic computer during the company’s Windows 10 event last year. The development edition of the device, the Hololens Development Edition, started shipping earlier this year, but a consumer release date hasn’t been provided yet. We’re really interested in learning more about the possibilities of this device when is comes to gaming in AR/MR, and will update you when Microsoft shares something concrete.